Hold on tight, everypony! My Little Pony: The Movie is blasting to theaters on October 6! 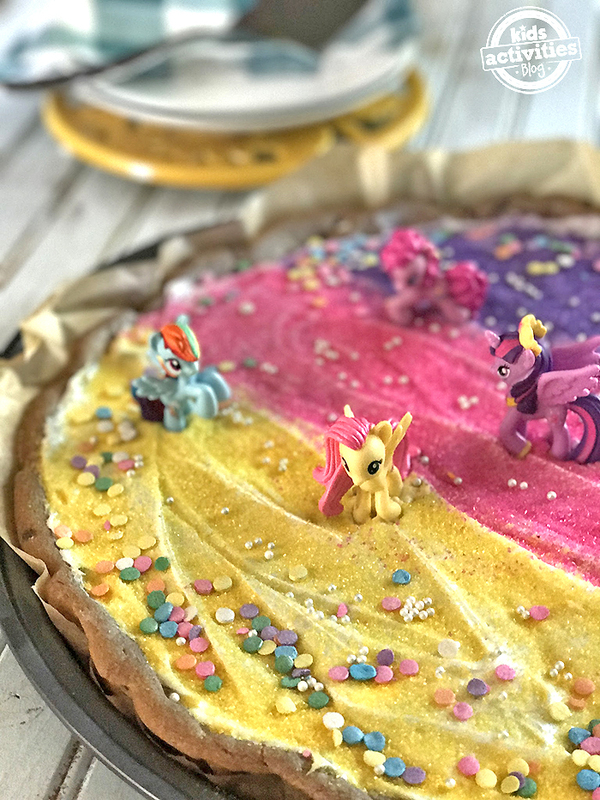 And nobody can be more excited than my kids – so we are celebrating with a My Little Pony: The Movie-inspired cookie cake! Friendship is magic! 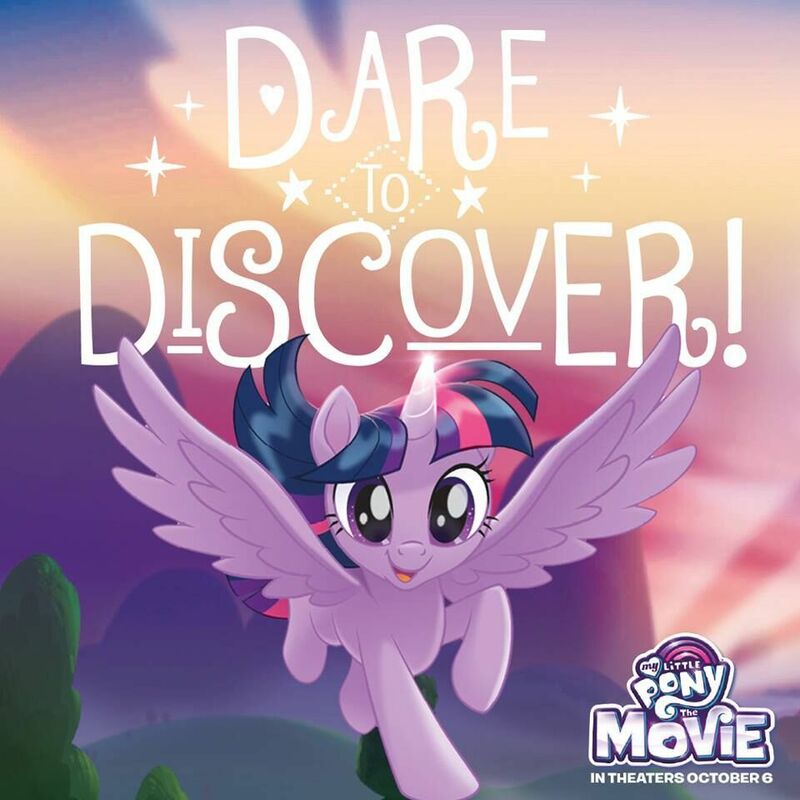 Join the littlest ponies on a BIG screen adventure and plan a movie date with your kids and their very best friends. Then celebrate with a Pony Party after the movie. We’re supplying the cookie cake recipe. Don’t forget the lemonade and a few pony activities to keep them talking about the movie. 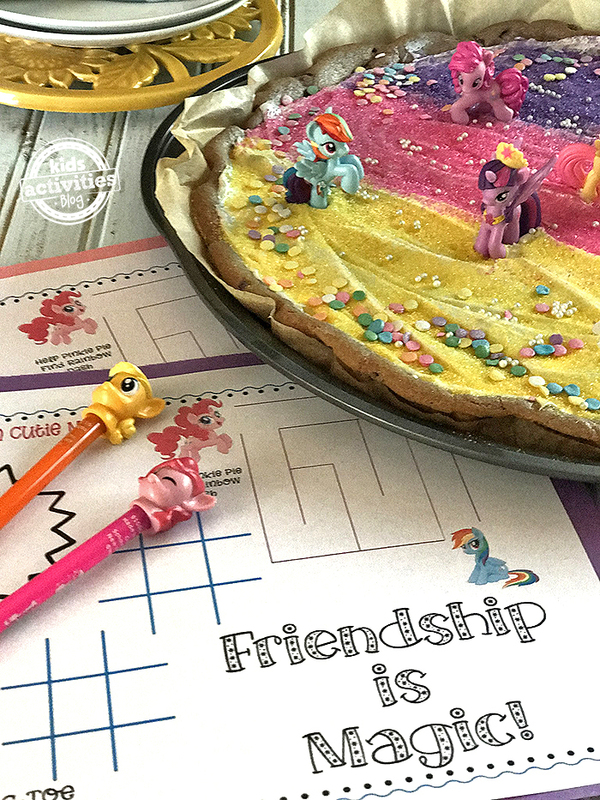 We’ve created this My Little Pony: The Movie activity mat for you to download for free to keep the kids busy while you cut the cake! About My Little Pony: The Movie! 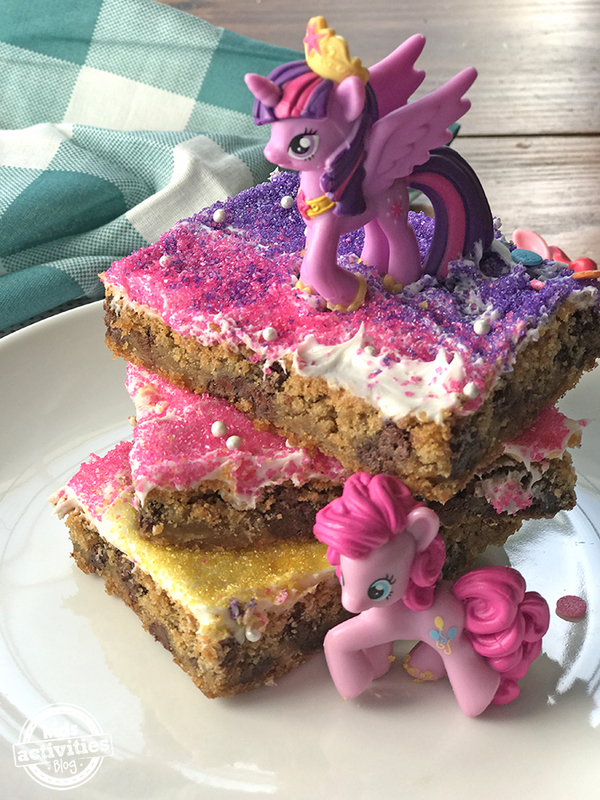 You can’t have a party without cake… and we love cookie cake! In an ungreased 12 inch cake or pizza pan, break up 2 tubes (or 1 large tub) of cookie dough and press it into the bottom of the pan. Bake 15-20 minutes until it is golden brown. Cool completely before decorating (or your frosting will melt!) with icing, colored sugar, and candy sprinkles. 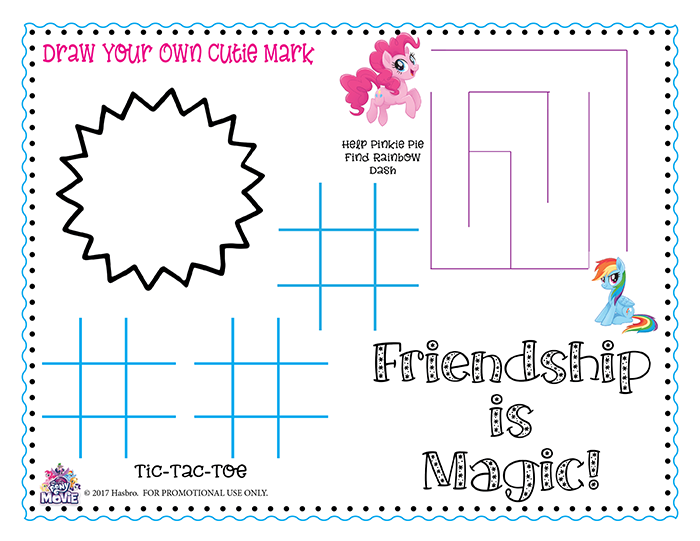 Don’t forget to download the Activity Placemat here! Pony friends forever! Find more about My Little Pony: The Movie Visit at the official movie site. Or on social media: Like on Facebook. Follow on Twitter and Instagram. Great idea! My granddaughter loves the Ponies as my daughter loved the first ones? well, the truth is my little girl is having issues with attention lately, she’s practically not responding to anything other than stuff that amuses her at the moment. it’s not that she doesn’t care, she just doesn’t bother listening when he’s occupied with something. Only way to get her attention is to offer a bribe haha, like offer him to play papa’s games http://allpapasgames.com/ (cooking game series that she loves). I’m absolutely positive this cooki cake going to interest her, the activity itself. so i’m going to try it, thanks for the post.